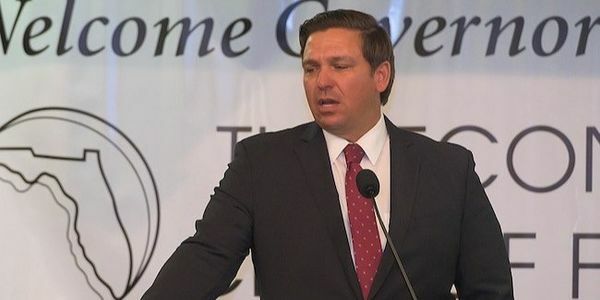 Despite having a terrible track record on the environment as a U.S. congressman, Ron DeSantis's environmental leadership has been pretty impressive since he took over as Florida's governor a few months ago, especially compared to fellow Republican politicians. In short order, he's allocated $2.5 billion to Everglades restoration, efforts to clean water, instituted a "chief science officer" who's a scholar on natural resources, created a new government office for environmental accountability and transparency, and even called for an end to the state's fracking and offshore drilling. That's already more than previous Governor Rick Scott did in 8 years on the job. One thing that stands out, though, is that DeSantis still seems to intentionally avoid discussing climate change. Given that Scott formerly banned state government environmental employees from using the terms "climate change" and "global warming," it's time to get the state back on track about the reality it faces, and lending it legitimatcy is an important step to do that. We thank the new governor for taking a turn for the positive on the environment and encourage him to keep pushing forward to protect the people and resources of his state. However, that will only go so far without acknowledging climate change as the threat it is. Say it aloud, Gov. DeSantis.